Discussion in 'The Bar' started by TYSON, Sep 1, 2010. The redesigned iPod shuffle features both clickable buttons and AppleÃ¢â‚¬â„¢s innovative VoiceOver technology, enabling you to easily navigate your music and playlists without ever looking at your iPod shuffle. 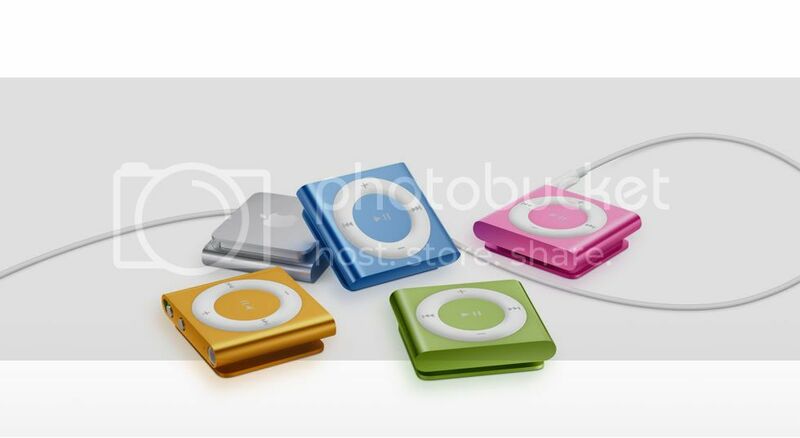 The wearable iPod shuffle has an all-aluminum enclosure with a built-in clip and comes in five brilliant colors Ã¢â‚¬â€ silver, blue, green, orange, and pink.